The Mutli Carrier HXF 3302 is an attachment frame that can be mounted on telehandlers, large front end loaders, excavators and wheel loaders. HXF 3302 is the largest model in the HXF series. 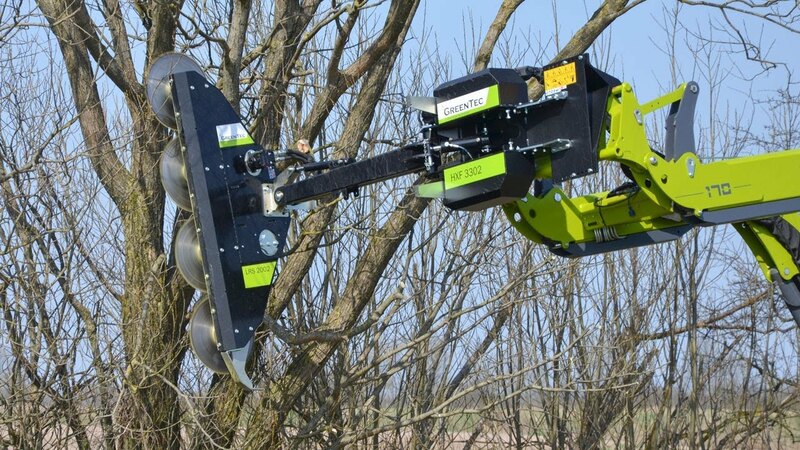 Quadsaw LRS 2002 and LRS 2402 are the ideal solution for windbreak maintenance where large branches need to be cut (maximum 21 cm thickness). The quadsaws provide a smooth cut and has a high forward working speed. However, the noise level is high and there are maintenance costs. 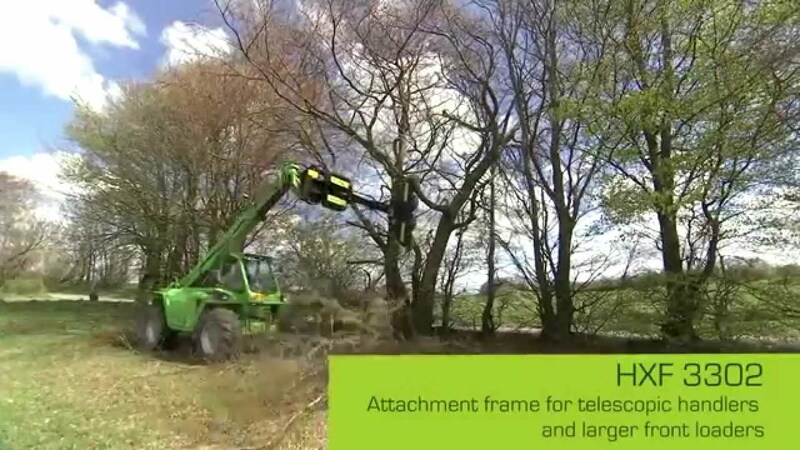 The Cutterbax HX 170 - 270 series can also be used for windbreak maintenance. The cutterbars have a lower noise level and do not require any maintenance. However, they have a lower capacity and can only cut relatively small branches (maximum 11 cm thickness). Rotary Hedge Cutter RC 162 is designed for hedge cutting and performs three operations in one. It cuts, shreds and disposes the cut-off material, so you do not have to pick it up afterwards. Rotary Hedge Cutter RC 162 is best suited for reguraly hedge cutting where the branches are no more than 4 cm thick. All of the tools are attached to the Multi Carrier HXF 3302 attachment frame that is mounted on the vehicle. The HXF 3302 is mounted on the carrier vehicle's quick-hitch system, whereafter the all hydraulic hoses are connected. The mounting of the machine only requires a few minutes of your time. When the HXF 3302 is mounted on a telehandler it can advantageously be a left hand version, this way, the driver has the perfect view of the working tool.